Quench your thirst with strawberries, grapes, or better yet chocolate, you will absolutely love our Simply Skinny Smoothie recipes for our Simply Skinny Hydr8+! Don't have time for breakfast, look no further! Our Simply Skinny™ Breakfast Go - To smoothie will satisfy both your taste buds and stomach! It's just like a dessert, but you can feel good drinking it! 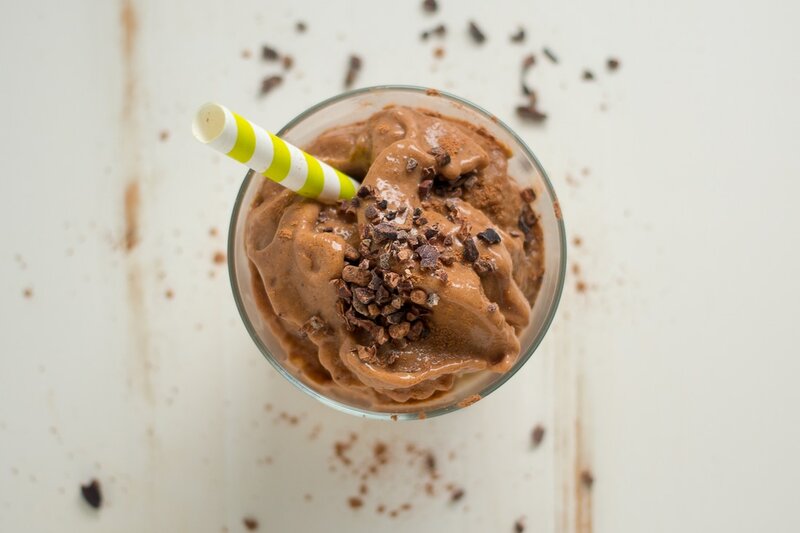 Satisfy your craving for chocolate with a nutritious drink that has fewer calories & no worries the Hydr8+ will help suppress your appetite for the rest of the day! Who said it can't taste great while your losing weight? This delicious smoothie is amazing and it doesn't get any simpler than this.. so satisfy your taste buds with this 70 calorie smoothie! *Even though our recipes have healthy calories, please limit yourself to one smoothie per day..
​Be advised: overindulging may lead to weight gain.